The newest Pokemon Adventure Pokemon Sun and Moon Released Last November. These games pledge to be the best like on color ever was. Alola Pokemon shake up the type match ups. Pokemon Sun and Pokemon Moon are the newest entries into the Pokemon Franchise. The game takes a new spin on the franchise where you don’t have to travel from gym to gym rather you travel from islands battling Totems and Kahunas. This game is basically Pokemon goes Hawaii. The game starts out with you moving to the Alola region with your mom. 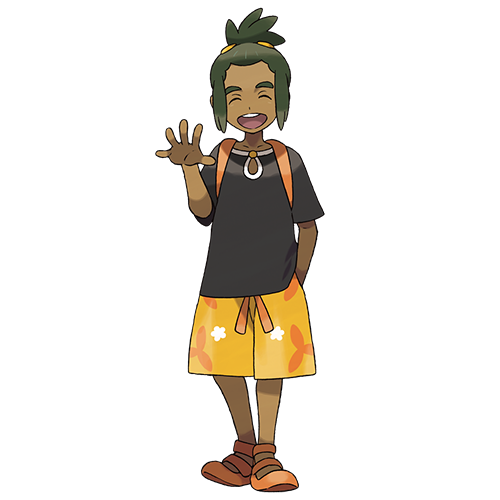 The young shirtless, intrusive Professor Kukui eventually introduces himself and then you go through your normal tutorial as in all other Pokemon Games. Pokemon Sun / Moon is full of interesting Characters, Vast region to explore, as well as cool new Pokemon. What it lacks in is Pokemon gyms, and a true rival. This is one of the better looking Nintendo 3DS games, and probably the best looking Pokemon Game to date. The only real downfall is the dropped frames when battles turn intense. This is your typical Pokemon stuff here. You get your usual town battle and route themes w/ your familiar Pokemon Center theme. Still, no voice acting and only Pokemon that says their name is Pikachu (I feel we have graduated from this Game Freak / Nintendo. It is about time we upgrade all the Pokemon cries.) . Pokemon Games typically always have a high replay value due to there is always so much more to do after your finish the main adventure. Pokemon Sun / Moon is no different here. One you finish the game you still can complete the Pokedex, Take part in the Battle Royal, as Battle and trade with friends and strangers alike. Pokemon Sun / Pokemon Moon may not be the best Pokemon Games (at least in my opinion) but they are great in their own right. I found the game to be easy. The difficulty comes when you are trying to fill up the pokedex and you are waiting for that 1 Pokemon to show up and they never do; yeah I’m talking to you Dratini (insert angry emoji). Cut-Scenes, while scarce run long and there is no way to speed them up or skip. 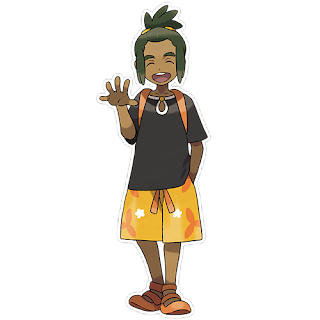 Pokemon Sun and Pokemon Moon places Hau as your rival which is a bit disappointing being that he is anything but a rival. He chooses the Pokemon weakest to you at the start of the game, He is way to cheerful and upbeat. Plus he constantly gives you helpful items and heal your Pokemon. He is more of a best friend. I find it hard not to recommend to anyone with a Nintendo 3DS. If you are shopping for a Nintendo and / or Pokemon fan, you can’t go wrong here.